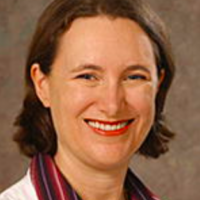 Dr. Katren Tyler is an emergency physician at UC Davis in Sacramento, California. She was born in Australia and only moved to the USA in her early 30's, after finishing EM training in Australia. Her professional interests include emergency airway management, physician well-being, and geriatric emergency medicine. She is the Associate Program Director for the Emergency Medicine Residency, Fellowship Director for the Geriatric Emergency Medicine fellowship, and Vice Chair of Faculty Development, Wellness and Outreach. In her spare time, she hangs out at home with her husband (double EM family) and 2 kids, one poorly behaved dog and two cats. She drags her kids all over the globe. She is a committed late onset runner, has completed 20 half marathons and she is nearly two years into a Mile-a-day running streak. Her goal is always to finish in the vertical position, in running and at work.